Stasia Hartley, Bayshore Area Director for Victoria (left) with Lauren Welsler, of BC Alzheimer Society and Terra Munro of the Sidney All Care Residence. Bayshore’s Sidney branch (a satellite of the Victoria branch) has partnered with the Alzheimer Society of BC to educate communities about creating accessible, inclusive spaces for people with dementia. Dementia-Friendly Communities, launched by the Alzheimer Society this fall, aims to raise awareness and reduce stigma. “When our Area Director Stasia Hartley heard about this, she reached out to the Society and Sidney All Care Residence to bring the initiative to our seaside town,” says Colleen Frampton, Client Service Coordinator in Sidney. That led to a fundraising event with a silent auction and a screening of the poignant documentary Alive Inside, held at Sidney All Care in November. More than 135 community members attended, and the event raised $2,133 for the Alzheimer Society. 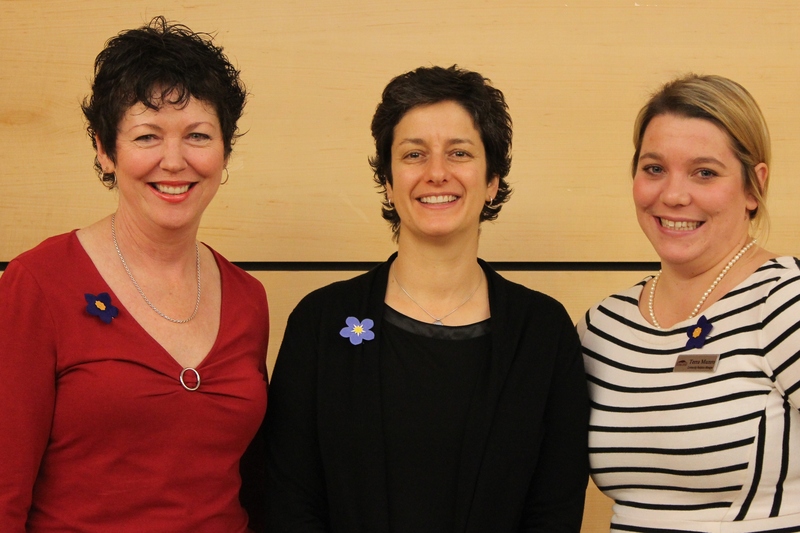 Bayshore held a workshop in November to help people better support those living with dementia. The Sidney branch is also hoping to start a local support group.